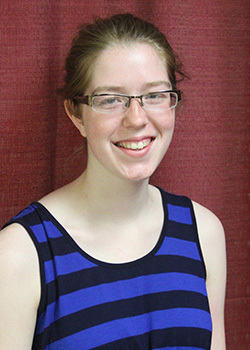 Hannah is a 20-year-old junior at Indiana Wesleyan University studying church music. Hannah's home church is First UMC in Sabetha, Kansas. I would love to have dinner with my grandma Sipes. I never got to meet her, and I am always told that I am a lot like her!